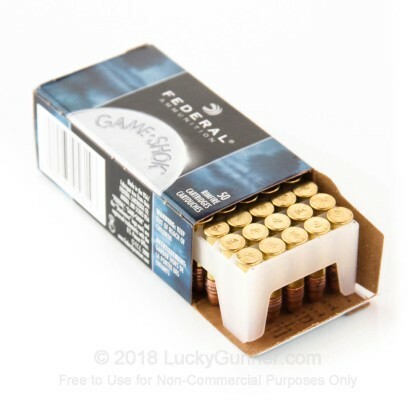 These .22 LR rounds from Federal's Game-Shok lineup are one of the best options available for small game hunters who wish to preserve as much hide and fur as possible when shooting. 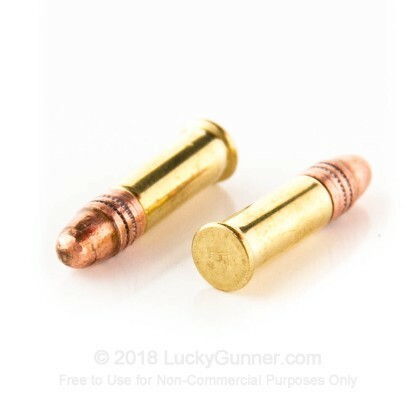 This is due to the use of a copper-plated round nose (CPRN) bullet which is not designed to expand but still delivers ample energy to vital areas with proper shot placement. The 40-grain projectile's copper skin reduces barrel fouling, increases accuracy, and helps to guard edible meat from lead deposits. 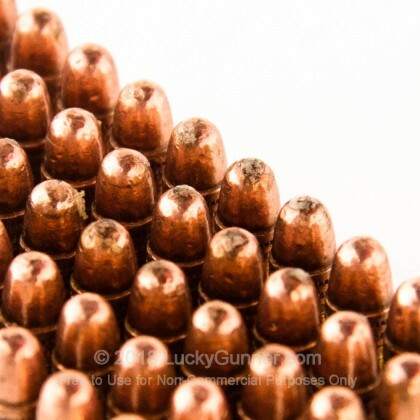 CPRN bullets also feed smoothly in lever-action, bolt-action, and semi-automatic rifles even when the platform is of an older design. Each projectile is crimped into a brass casing which is rolled by Federal in-house and primed with a non-corrosive ignition mixture. The round's multi-band bourrelet increases rifling contact and helps to stabilize the bullet while resisting errant deformation; this promotes greater accuracy and raises hit probability on squirrels, rabbits, and similarly sized game animals. Federal has been around since 1922 and is well-known by all kinds of sportsmen and competitors in the shooting community. Their Game-Shock brand is easily recognized is an inexpensive source of dependable hunting ammo. A: The Ruger 10/22 works very well with that round. 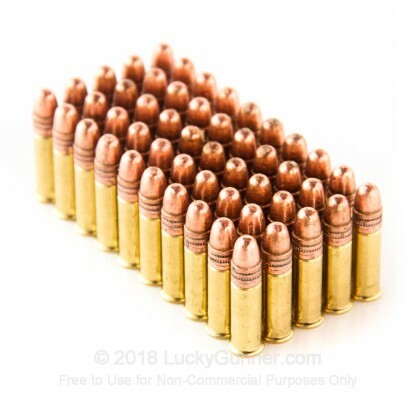 Besides the rifle being extremely reliable with most .22 ammo, the design of the bullet on the Federal round tends to be very reliable over a wide variety of .22 firearms. 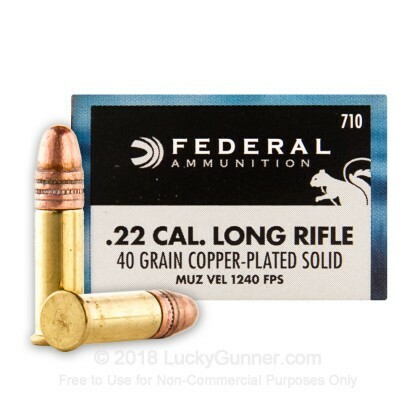 We also have this 22 LR - 40 Grain Copper Plated Round Nose (Solid) - Federal Game-Shok - 50 Rounds ammo in stock in a smaller quantity. 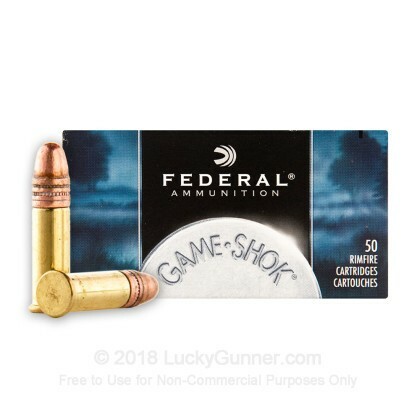 We also have this 22 LR - 40 Grain Copper Plated Round Nose (Solid) - Federal Game Shok - 500 Rounds ammo in stock in a smaller quantity.